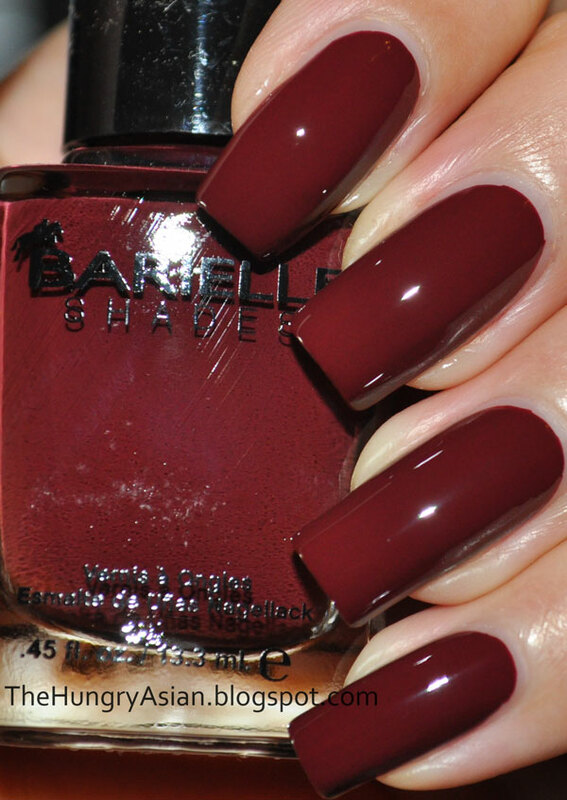 Here is Barielle's 2010 fall collection, Style In Argyle. Aura Angora 2 coats. A mustard yellow creme. To be perfectly honest when I saw it in the bottle I thought it was a ghastly color, but once I put it on I really liked it. I think this is one of those either you love it or hate it colors. Cowl Of The Wild 3 coats. A mushroom taupe. One can never have too many of these right? This is like chocolate silk! Tight Knit 2 coats. A dark slightly purple brown creme. My flash really lightened this one up so please do note it is darker in person. Wool You Marry Me? 2 coats. A rich russet creme. Unraveled Rust 2 coats. 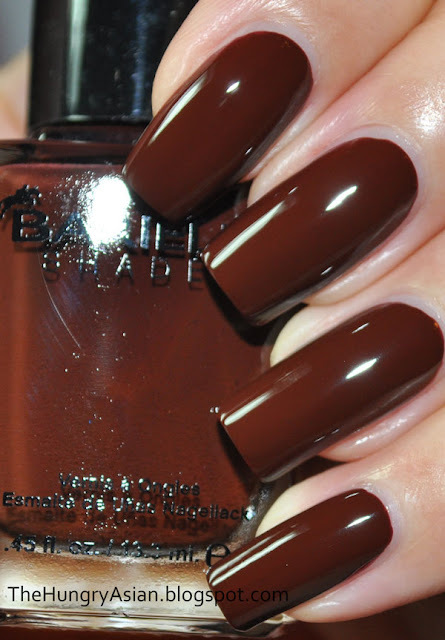 A dark slightly reddish brown creme. Cashmere Or Loose Me 2 coats. Light brown with a subtle copper shimmer. Every single one of these polishes applied like a dream and needed only 2 coats except for Cowl Of The Wild. You can get this collection at Ulta HERE. They have a special price for Barielle it's $6.00 each and through the month of October it's buy 2 get 1 free.